The Gospel Coalition is pleased to announce the appointment of Collin Hansen as full-time editorial director, starting this week. 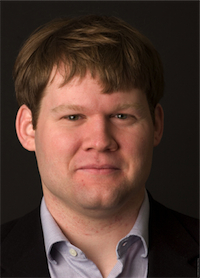 A graduate of Northwestern University and Trinity Evangelical Divinity School, Collin possesses a unique mix of theological acuity and pastoral sensitivity, an excellent appreciation for church history and remarkable skill as a journalist. We have been in conversation with him for two years, and we are delighted that in the mercy of God he has now agreed to join the team. Many will know Collin through his work for Christianity Today and especially his first book, Young, Restless, Reformed: A Journalist’s Journey with the New Calvinists. As editorial director for TGC, Collin will write and edit pieces that spotlight the advance of the gospel worldwide, feature trustworthy and effective local church ministries, and bring theological discernment to cultural trends. Hier Collin’s erster Blogbeitrag: thegospelcoalition.org.